Everest Great View Kalapattar Trekking 12night 13days｜Saiyu Nepal Trekking & Expedition Pvt.Ltd. Climb Kalapathar peak to see Mt. Everest`s closest view. Accommodate at one of world`s highest villages, enjoy sunset / sunrise at Mt. Everest just in front of you. You will be met at a specified place inside Kathmandu, and transfer to the domestic airport in Kathmandu. Fly to Lukla [2,827m]. Lukla is the starting point of Everest trekking. Start trekking from Lukla. Walk along the Dudh Koshi River to Phakding [2,652m]. Overnight in Phakding. This day`s trek starts with a gentle slope while viewing of Mt. Thamserku through the way. You will need to complete the entrance procedure of Sagarmatha National Park at Monjo, before walking toward the river. After crossing the suspension bridge at river cross point, a steep trail starts, taking you to Namche. A little windy and beautiful trail on this day, offers the first view of Mt. Everest. Overnight in Namche Bazaar [3,446m]. A day for acclimatization at Namche Bazaar. 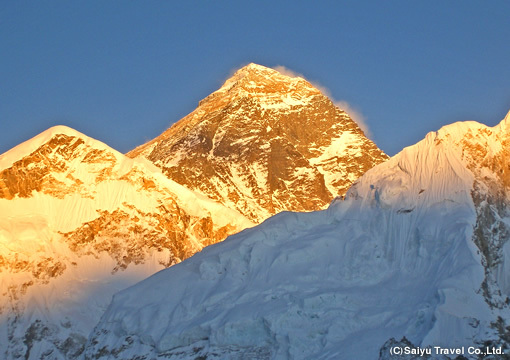 A day trip to Syangboche offers you a closer view of Mt. Everest. This day`s trek trail is steep, yet Syangboche hill offers incomparable views of Mt. Everest, Mt. Lhotse, Mt. Ama Dablam, Mr. Thamserku etc. A visit to Khumjung village is possible for the interested participants. Trek back to Namche bazar, and overnight. The morning starts with a walk down to Tenga [3,190m]. 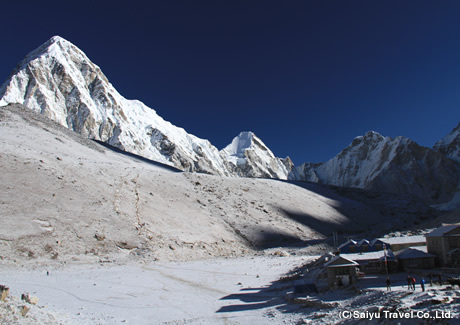 The second half of the trek is an ascent to Tyangboche village [3,867m]. Overnight in Tyangboche. 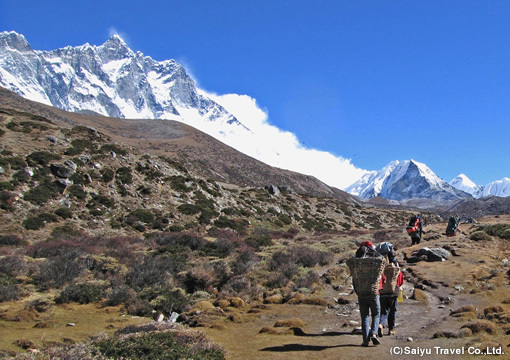 Walk to another village of Dingboche [4,343m], while the mountain views are available. 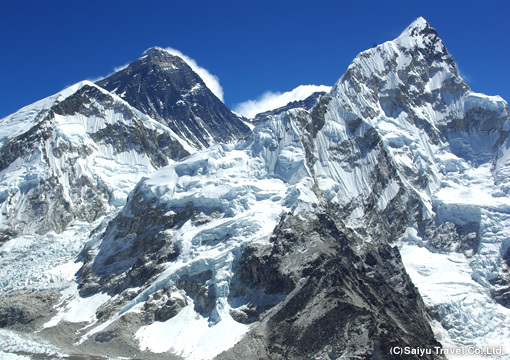 You can explore the beautiful Lhotse`s southern view. Though this is a day for acclimatization, trek up to Chukung [4,730m], near Imja Khola and come back to Dingboche [4,343m] for an overnight stay. The nature with beautiful Himalayan folds blows you away on this day. Trek near the Khumbu Glacier via Dugla to reach Lobuche [4,930m] on this day. Overnight in Lobuche. 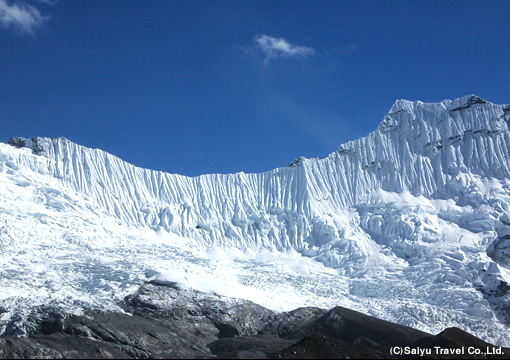 Start trekking to Gorakshep [5,170m] You will be climbing on Kalapathar [5,545m] on this day, if the weather permits. [About 4 hours]. Trek down to Gorakshep and overnight. An additional day to climb Kalapathar [5,545m]. Climb down to Pheriche (4,215ｍ）. ※IF you couldn`t climb Kalapathar the other day, this day is useful. Trek back to Pheriche / Lobuche and overnight. Trek to Panboche [3,860m]. 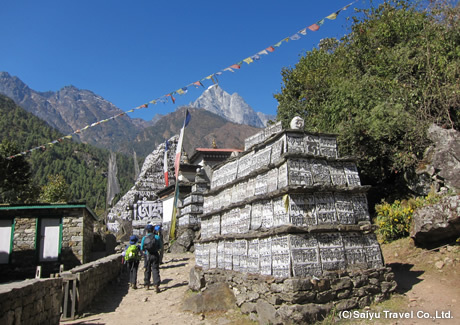 If you stay overnight in Lobuche the other day, trek to Pangboche via Pheriche. A long trek, trek back to Lukla on this day. Fly back to Kathmandu with a domestic airplane. You will be dropped off to the specified place inside Kathmandu city. ※If you are a group of 3 or more persons, please contact us for the quotation. ※Please contact us for the quotation, if you are traveling with a child. ※You will need to bring your own sleeping bad for the lodges. Rental services are available at an additional cost of US$ 25 Per sleeping bag. ※For the clients, who wish to keep an Oxygen cylinder for emergency, please contact us for the quotation. ※ The domestic airfares are subject to change without prior notifications. If it changes, a new tour cost will be applicable. ●Climb up the summit of Kalapathar peak, for the best view of Mt. Everest. Gorakshep is one of the highest villages of the world with an altitude of 5,170m. It is also the entrance gate of Kalapathar, and the last settlement in the Everest region. You have chances to climb to Kalapathar during this trek. Kalapathar is considered to be one of the best places to see Mt. Everest. The view is so close that you will be flown away with the beauties of Mt. Everest and other surrounding mountains. Gorakshep Village, one of the world`s highest villages. 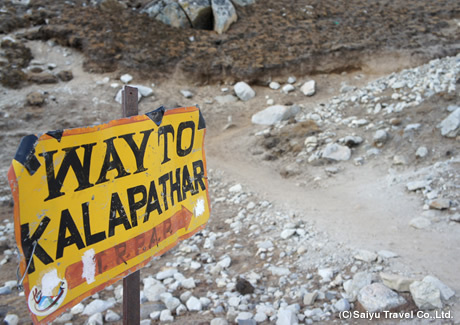 This old signboard shows the way to go to Kalapathar, don't miss the way! Physical Strength A B C D You need enough stamina (physical strength) to trek the steep ascent and climb up Kalapattar. The highest altitude of lodge is 4,750m. The highest altitude to reach is 5,545m. High altitude sickness symptoms may appear on the way. Proper drinks, health management is highly recommended.